Here’s what’s up in the world of TV for Monday, October 30. All times are Eastern. 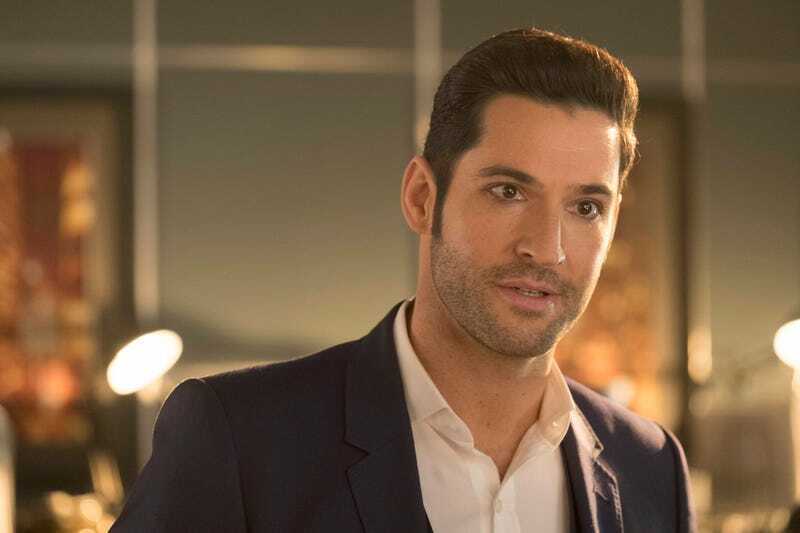 Lucifer (Fox, 8 p.m.): Tricia Helfer returns as Charlotte Richards, the resurrected defense attorney who once served as the vessel for Lucifer’s (Tom Ellis) mother, Goddess. Seeing her around the police station is awkward for everyone, but made all the more so when she starts smooching her not-son. We’ll have to ask LaToya Ferguson if that’s a sin or not. Teen Witch (Hulu): Because not all witchy tales have to be spooky ones, we choose to partake in another viewing of Dorian Walker’s coming-of-age story for sorceresses. Robyn Lively stars as Louise, a nerdy teen who grows out of her awkward phase just as she comes into her magical powers. There’s a metaphor there, for sure, as well as one of the all-time dorkiest (and by that, we mean greatest) movie raps.